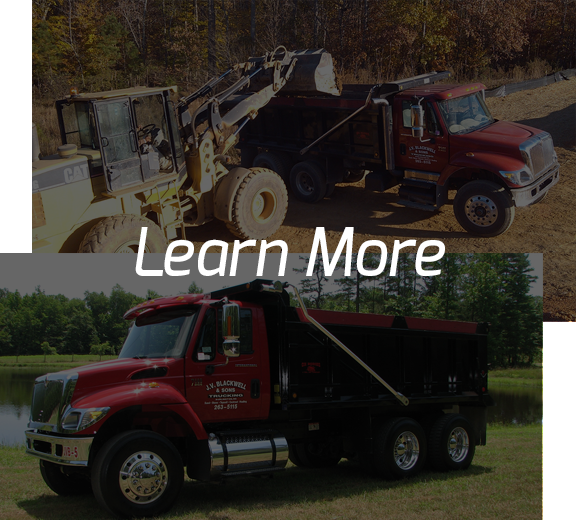 Dump Truck Company Burlington, NC | J.V. Blackwell & Sons Trucking Inc.
Quality trucking services since 1999! J.V. Blackwell & Sons Trucking, Inc. was established on February 22, 1999 in Burlington, North Carolina by John and Gina Blackwell. The Blackwells have a long family history of excavating and trucking on both residential and commercial construction projects. 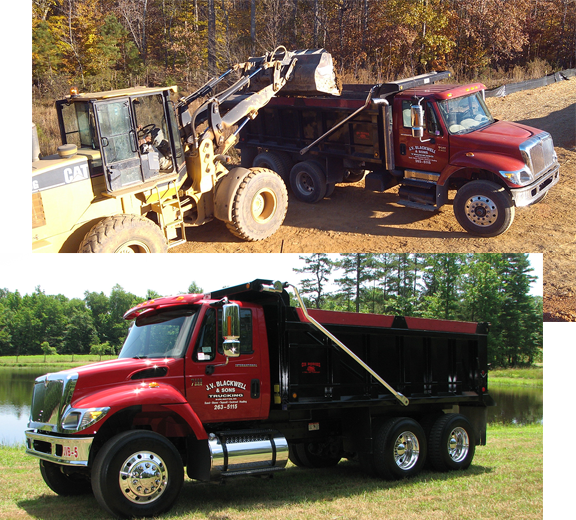 We specialize in contract hauling, as well as the sale and delivery of sand, stone, topsoil, fill dirt, and much more. We provide service locally, as well as throughout the Piedmont and Triangle areas of North Carolina.